You can easily locate Tenerife North airport (Los Rodeos), Tenerife South airport (Reina Sofia), Teide vulcano, Playa de las Americas, Puerto de la Cruz, Santa Cruz de Tenerife, Los Cristianos. If you want to see the map in full size, just click on the map to make it bigger and printable. Playa de las Americas map. Click here to see Torviscas village, San Eugenio village, Aquapark and main hotels and residences around Playa de las Americas. Cristianos map. Click here to see Las Vistas Beach, the port and main hotels and residences) arounf playa de los Cristianos. Puerto de la Cruz map. Click here to see Lagos Martianez, El Jardin Botanico, Playa Jardín and the main hotels and residences around Puerto de la Cruz city. Island map. 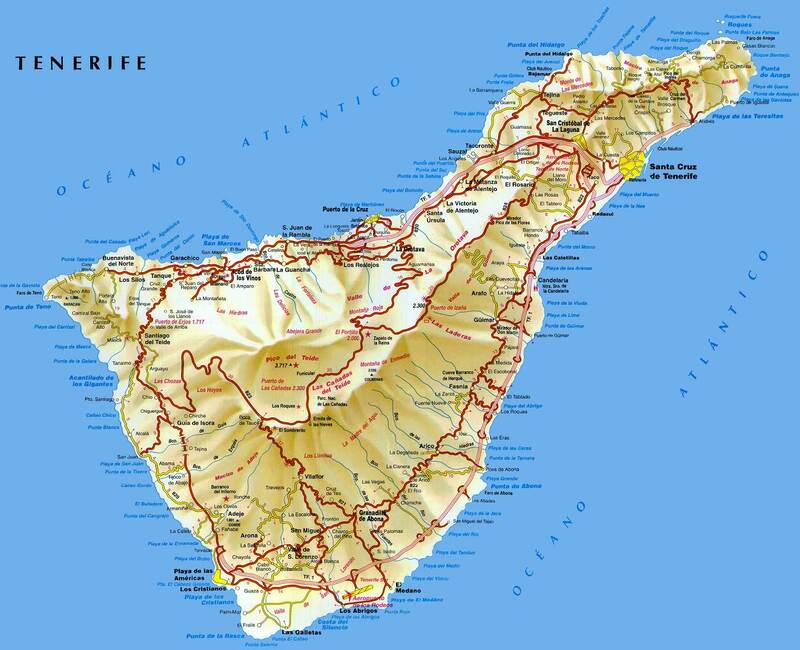 You may want to download a Tenerife full large detailed map available in pdf here. Municipalities map. Click here to see the island with its geographic division.